In a previous blog post Is Azure Adoption “Too Easy? I discussed how it is very easy (perhaps too easy) to get into Azure without a well-thought-out network architecture and a good plan. We cannot fault Microsoft for making it as simple as possible, however it is very easy to do it without adequate planning. The result can be that you can paint yourself into a corner if you are not careful. Over time, and working with many clients, we have developed a network design model that includes a single subscription with Virtual Networks (VNets) defined by environment (Development, Quality Assurance, Production, Disaster Recovery, etc.). Then each VNet is broken down, in turn, into SubNets for architectural tiers and specific purposes such as virtual network gateways. We have developed this architectural design based upon, and extending, the Microsoft Hub and Spoke architecture recommendation. 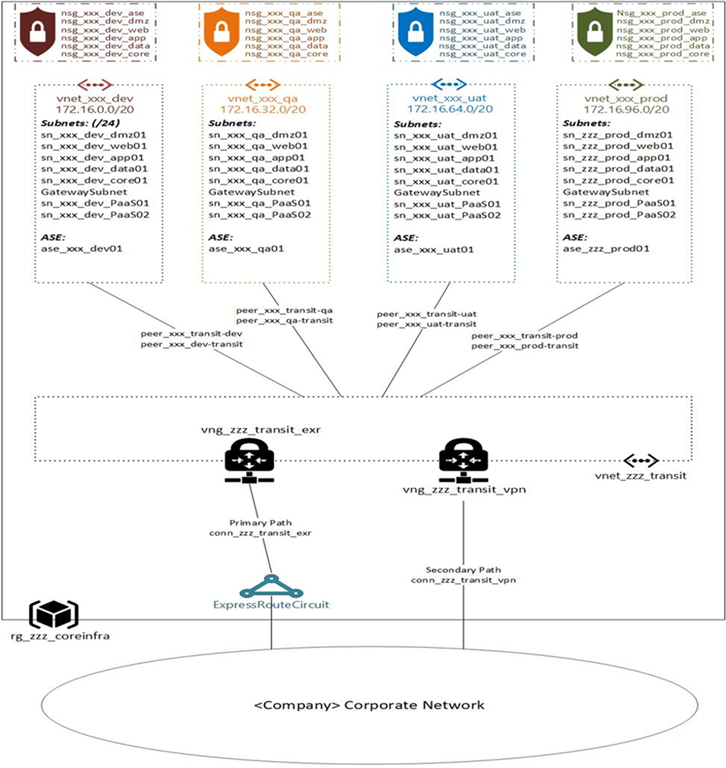 This modular rational approach to the Microsoft Hub and Spoke network architecture that we have developed is called “Parthenon”. We have also built a network generator application that we use to build these rational networks. Recently we recorded a presentation on this to be delivered to Microsoft MVPs and former MVPs around the world. Microsoft has been kind enough to allow us to share this presentation with you. During the recorded presentation we discuss, and demonstrate, the real-time creation of a Parthenon network in an Azure subscription. This entry was posted in Architecture, Cloud, Cloud Computing, IaaS, PaaS, Windows Azure and tagged Architecture, Automation, Azure, Networking. Bookmark the permalink. We were mentioned twice in Azure Weekly – Issue 181 this week 🙂 Once for this post, and once for an appearance as a guest on The Azure Podcast – Episode 234 on Azure Migration.